Johnny Winter with Dr. John Live In Sweden 1987 offers a stripped down and somewhat brief, clocking in at only 59 minutes, look at the blues wizardry of late bluesman Johnny Winter, which is thrust into the spotlight on opener “Sound The Bell,” which puts Winter’s near unparalleled guitar skill on display for all to see. 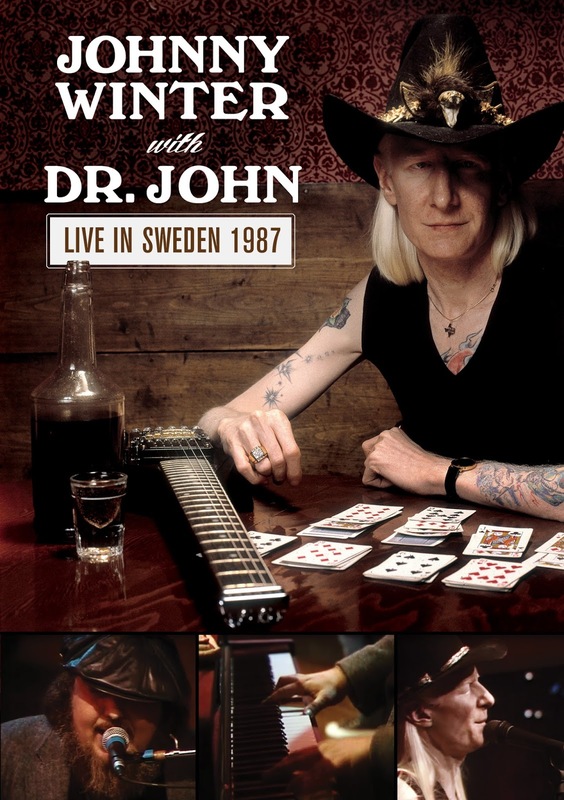 The first portion of Johnny Winter with Dr. John Live In Sweden 1987 features the band performing as a trio, with Jon Paris on bass and harmonica and Tom Compton on drums, with Dr. John jumping in towards the middle. Dr. John shines on “You Lie Too Much” before he and Winter blends their styles seamlessly on Muddy Waters’ upbeat “Sugar Sweet.” If you know anything about Johnny winter, then you know nearly all of his live performances include at least one Rolling Stones cover and Johnny Winter with Dr. John Live In Sweden 1987 is no exception, with “Jumpin’ Jack Flash” being the choice here. Though a performance of “Prodigal Son” is tossed in here in the bonus features, “Jumpin’ Jack Flash” is a true closer for this set in every sense, especially when Winter and Paris play each other’s guitar during the song. Though “Prodigal Son” is nowhere to be found on the CD version, it’s still worth checking out. Johnny Winter with Dr. John Live In Sweden 1987 is short sweet and definitely to the point.